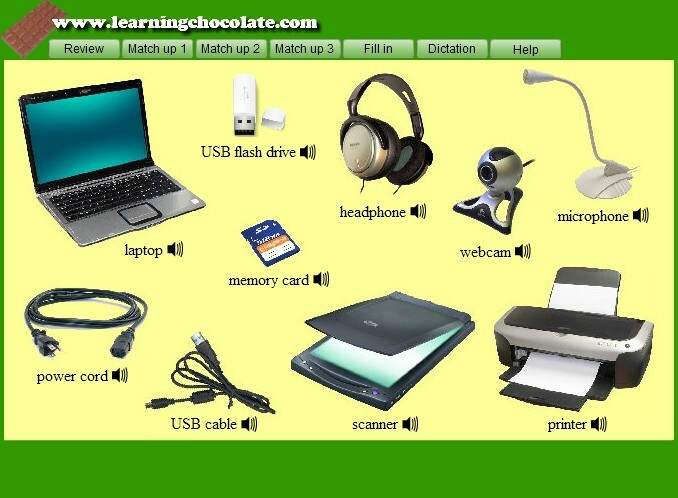 Computers require many accessories, like laptops, webcams and microphones. Do you know all the English names of computer accessories? Learn some! This vocabulary list includes the pronunciation and the written form of each word with matching games to test yourself until you've mastered them all!